The Alley is a tea stand in Japan hailing from Taiwan. 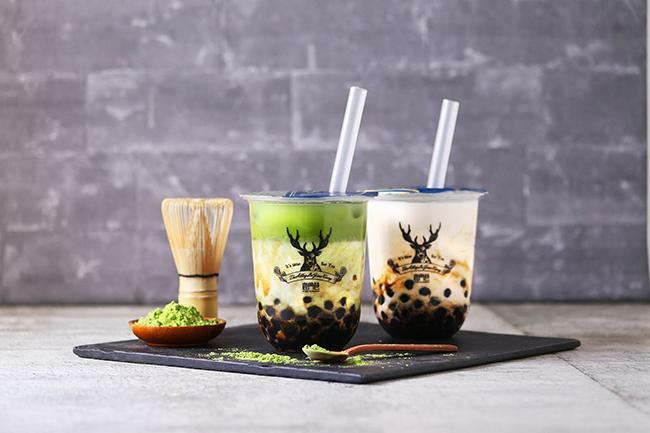 They have just added a new beverage to their Brown Sugar Tapioca Series: the Brown Sugar Matcha Latte. The drink was released at all branches across Japan on April 2nd. 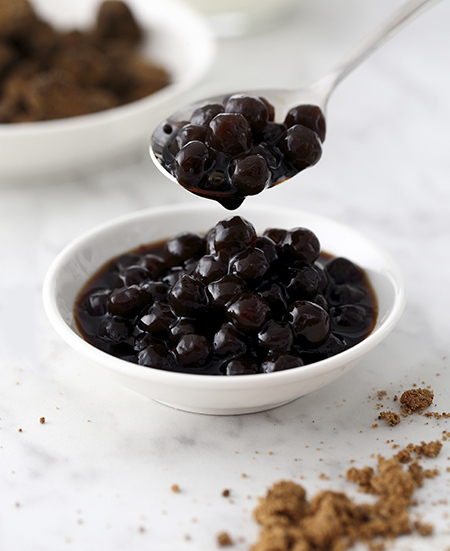 The series uses brown sugar tapioca which is made from The Alley’s own original tapioca and brown sugar syrup from Okinawa. They are bigger than the usual size tapioca and once bitten into fill your mouth with deliciously sweet brown sugar syrup. What’s even better is that the store’s brown sugar tapioca lattes are served with twice the amount of tapioca to the normal tapioca teas they sell. The Brown Sugar Matcha Latte is a combination of bright springtime matcha and milk giving it a two-tone colour. 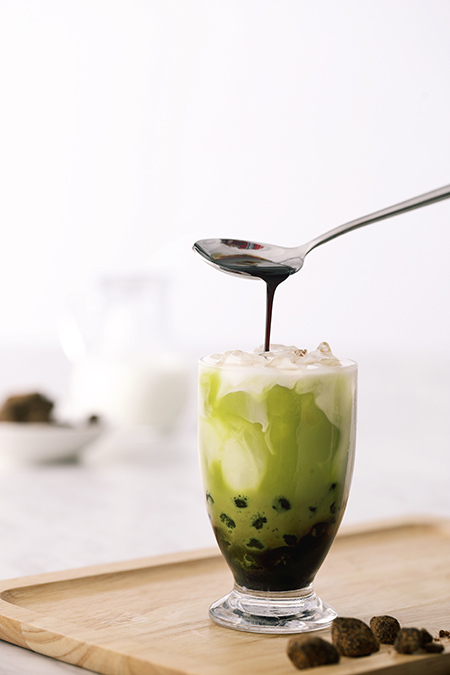 The bitter flavour of the matcha draws out the sweetness of the brown sugar tapioca. Both the drinks’ appearance and taste are immensely satisfying! Enjoy this exquisite harmony of brown sugar tapioca and matcha.